HOW MUCH YOU CAN SAVE ON ENERGY? EPA / MEMO (EPA) is an Energy Management Consulting firm. Our mission is to lower our clients' energy cost through astute product pricing (rate) and by implementing strategies which lead to reductions in energy consumption. Ultimately, the cheapest and greenest energy is the energy you do not use. Solar energy provides significant savings for commercial customers. We design and implement complete Solar PV Systems and can show you a variety of other ways to benefit from solar power. 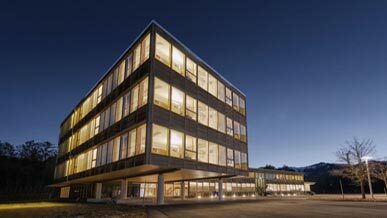 We develop better lighting solutions that improve light quality and reduce energy consumption. We handle all aspects of lighting upgrades including analysis, design and implementation. Save money by converting from oil to natural gas. Aside from lowering your costs, natural gas is cleaner and safer. It’s also much more convenient than oil since it is piped directly to your facility. EPA / MEMO is a representative of the major Energy Service Companies (ESCO) who provide alternative energy in New York, New Jersey and 15 other deregulated energy states. EPA negotiates with authorized ESCOs in order to secure the most competitive price for our clients' energy supply. MEMO-Sunshine Solar Development (MSSD) is an independent, full-service, commercial Solar PV Project Developer. MSSD provides unbiased vendor and solar equipment selection, construction management, project management, and all available financing and ownership options to our customers. Some of our basic project advisory services include: site & facility assessment, economic modeling and project forecasting, RFP management, financial structuring, solar project financing and integration of present electricity costs with the proposed solar project. Once a prospect has become our ESCO customer through EPA, MEMO will perform a no-cost, no-obligation survey of the client's facility. We prepare an outline showing the potential energy savings, the cost of project implementation and the amount of State rebates that they may be eligible for. As an approved partner with the Pay for Performance Program, EPA is able to obtain incentives that can be up to 50% of the cost of the scope of work conditioned, simply by reducing the customer's energy usage by at least 15%. We Manage All Of Your Energy Needs. We provide a wide range of energy solutions and handle all aspects including design, implementation and monitoring. We have years of experience in providing energy solutions for commercial customers. Lower costs and save money with our many energy solutions or by allowing us to negotiate better rates on your behalf. Enhance your business and improve your environment by moving to more advanced lighting, solar power and converting from oil to gas. We guide you through the entire process. We simplify the process by taking care of everything so you can enjoy better energy and lower costs. Earn money by simply reducing your electric usage during peak times. We can get you started. Allows users to take advantage of solar power without any installation. Learn which model is best for your business. Generate revenue by earning and selling Solar Renewable Energy Certificates (SREC). We guide you through the entire process. Become a solar host and earn income from generated power. Find out if you are a suitable host. We focus on managing the energy needs of businesses, buildings, manufacturing facilities and other commercial enterprises. 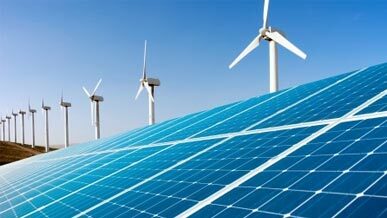 Our strategies make use of solar power, lighting solutions, oil-to-gas conversion, submetering and wind power. We can help find the best solution for your business to maximize your savings. Follow us on social media to learn innovative ways to save money on energy and reduce pwer consumption. Learn more about how we can help you manage your energy needs, develop optimal energy strategies for your business and lower your utility bills. Contact Us Now! START SAVING ON ENERGY COSTS NOW! © 2012-2018. Energy Portfolio Associates / MEMO-Cogen, Inc.